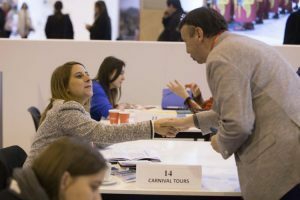 Tourism industry professional will gather at the Feria de Madrid to participate in FITUR 2019 organised by IFEMA. The leading event for both inbound and outbound Latin American markets will have new features to increase business opportunities. The trade fair will be unveiling a new B2B area focused on MICE tourism in order to boost key segments in the tourism industry. The event FITUR MITM-MICE& Business will be organised in partnership with GSAR Marketing, a specialist company in MITM Events will be the apt platform for meetings for industry professional and FITUR exhibitors. There will be up to 30 pre-arranged appointments between exhibiting companies interested in taking part in the programme and 100 top-tier international executives. MICE tourism saw a good growth with 12,558 congresses for international associations held in 2017. The International Congress and Convention Association, ICCA placed Spain in the fourth position and USA, Germany, UK took the top three positions. Hosted Buyers Workshop will be another Important B2B platform which will see extensive participation. The pre-arranged business meetings will be helpful in connecting FITUR 2019 supply and demand. This will be serving the commercial and strategic interests of the exhibiting companies, partners and international buyers. Last year the fair has 251,000 participants and was host to more than 6,800 business meetings. FITUR FESTIVALES will be a new inclusion and FITUR CINE intended towards film tourism. Other well-established sections like the FITURGAY (LGBT) and the FITUR SALUD, FITURTECHY and FITUR KNOW HOW will also be featured directed towards technology and the concept of intelligent tourism. Knowledge and knowhow will be a major focus at FITUR 2019 that will see participation within the framework of the fair by international organisation like the World Tourism Organisation (UNWTO) and the Latin American Conference of Tourism Ministers and Entrepreneurs (CIMET).